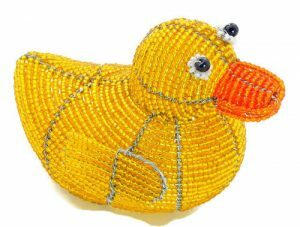 A WIREWORX fair trade beaded animal figurine handmade from glass beads and wire in South Africa and Zimbabwe. 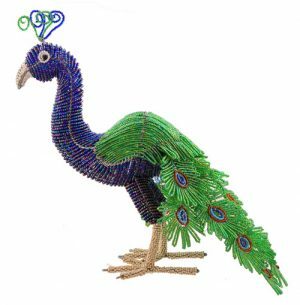 These colorful, 3″ tall fair trade beaded owl figurines are just bursting with color! 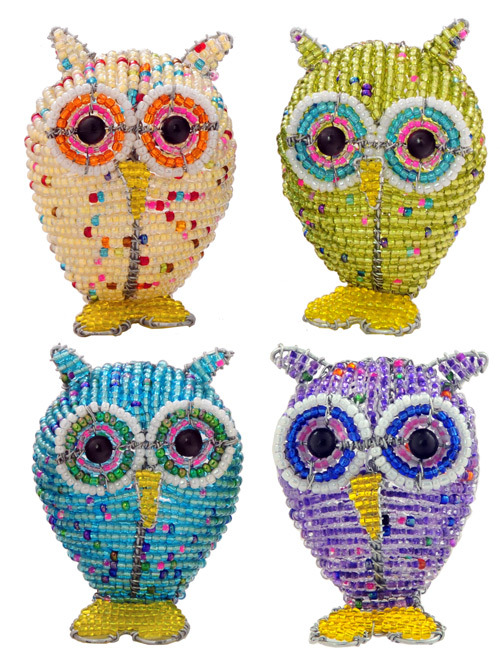 These collectible baby beaded owls are great for bedroom decor and owl collections. 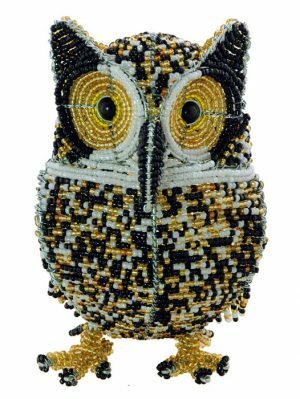 These small beaded owls are small enough to attach to a large handbag or schoolbag or use them as Christmas tree ornaments!